The Mission of TARC is to provide opportunities for children and adults with disabilities to realize their full potential, and to become self-directed and contributing citizens. We are working to promote the general welfare of children and adults in the Florida Parishes, fostering and developing programs and services for individuals with special needs, serving as an advocate for families, gathering and dispersing information, cooperating with all public and private providers in furtherance of these goals, aiding parents as it relates to individual challenges, and providing support and education while encouraging maximum growth through quality services. We fulfill our mission by offering programs and services tailored to the needs of children and adults with disabilities in inclusive environments. We foster and develop programs and services for individuals with special needs to help empower the individual and/or family. We provide support and education while encouraging maximum growth through quality services. We serve as advocates for families. We aid parents in the solution to their problems as it relates to individual challenges. 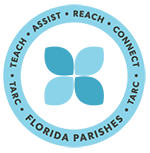 We promote the general welfare of children and adults in the Florida Parishes. We gather and disperse information. We work with public and private providers to further our goals in connecting our families to needed resources.